Some of my best friends are white guys. And from the late Walter Cronkite and Peter Jennings to the wonderful Bill Moyers, to name just a few, some of my favorite journalists are white guys, too. But they aren’t the only terrific journalists out there. There are plenty of talented journalists of color, yet their presence is increasingly rare in newsrooms. And as a result, the diversity of stories being told in media today—and, ultimately, society as a whole—will suffer. Consider for a moment what coverage of the Trayvon Martin tragedy might have been like had there been no journalists of color to cover it. For a hint, just glance back at how Emmett Till’s tragic death was covered: After being acquitted, his killers confessed to the crime in a major magazine, in an interview for which they were paid. The existence of that kind of imbalance, and injustice, is one of the reasons so many of us are mourning the end of NPR’s Tell Me More, which airs for the last time this Friday. A 2013 study by the American Society of News Editors found a decrease in newsroom diversity, and a survey just released by FAIR found that 84 percent of guests on leading evening cable-news shows are white. This includes shows you might expect to be more diverse, such as some programs on presumably progressive MSNBC. Six percent of the guests on The Rachel Maddow Show during a five-week period were people of color. No one believes that Maddow, as an outspoken supporter of civil rights, has animus toward people of color, and yet the show’s roster of guests during the period analyzed are not representative of America, or even MSNBC’s own viewers, which include a sizable African-American audience. For the record, Maddow is one of the most gracious people I have crossed paths with during my career. But, if you’re wondering, despite appearing on various MSNBC programs, I have never been asked to appear on her program. The FAIR report also found that 72 percent of guests on leading cable-news programs are male. Just 5 percent are women of color. The data make it abundantly clear that lack of diversity in media is an industrywide problem. But it was never a problem on Tell Me More. In the dozens of times that I was fortunate enough to appear on the show, I was hardly ever the only person of color. And I was rarely the only woman—even if the topics did not fall in the category of “women’s issues” for which some programs insist on booking female guests exclusively to address. But diversity isn’t the only thing I will miss about Tell Me More. I’ll miss having that increasingly rare opportunity in media to have an actual discussion about issues that matter, instead of being given just a few minutes to engage in a shout-fest with people about issues that really don’t. I will miss having a platform to discuss topics as diverse as pay equity and police brutality, natural hair and health care, all in one place. And I will miss having these conversations steered by a host—Michel Martin—who understands that hair politics and Beltway politics both matter. It is both ironic and sad that Tell Me More’s final program will air while the annual National Association of Black Journalists convention is taking place. At the same moment that African-American journalists are being celebrated, we are losing one of the most welcoming platforms on which black journalists appear. 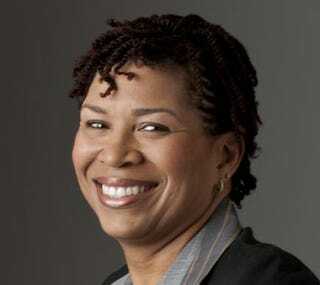 And we are losing the daily presence of one of the country’s foremost black journalists. While Martin will remain with NPR, the loss of Tell Me More will reverberate throughout the industry: an industry that is looking more and more like it did decades ago, when the face of media was white and male.